A Vanilla essence with creamy bourbon notes, a natural flavouring for your cooking, baking, desserts and more. Our vanilla essence is crafted from natural plant substances only and is great for flavouring icings or cake sponge as well as general baking, desserts and more. Only a few drops are needed as this is a high strength professional essence and a popular flavour in the Foodie Flavours™ range. Vanilla is the most popular flavour ingredient worldwide and Vanilla Extract is used in thousands of recipes which are loved and enjoyed in numerous cultures. 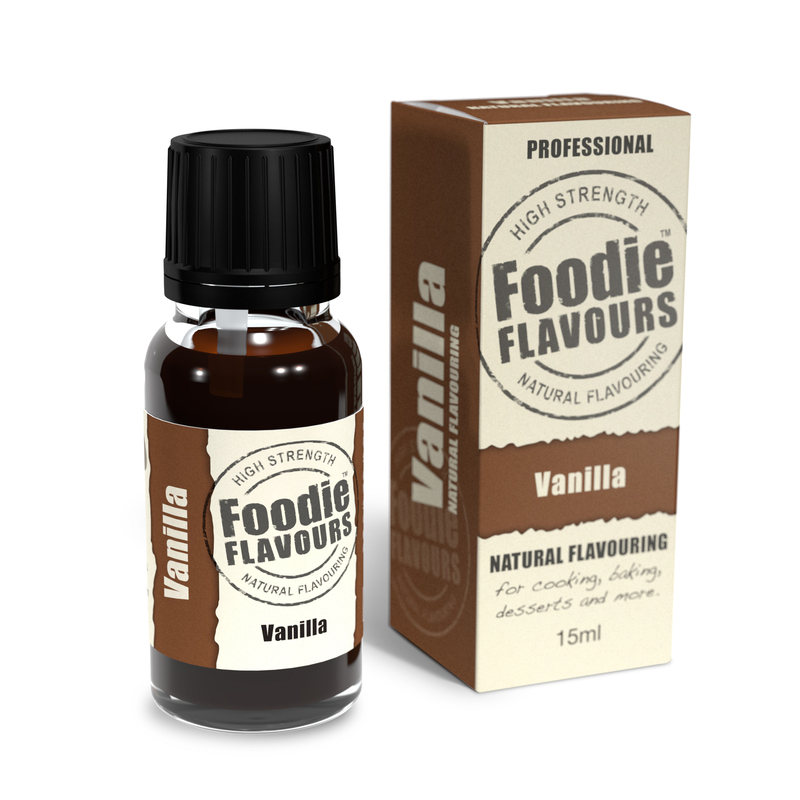 Foodie Flavours’ Vanilla essence is a natural flavouring alternative to our Vanilla Extract and provides a heat stable solution for baking and other food & drink applications. In addition this Vanilla essence is alcohol free and therefore halal suitable.